Crop rotation isn’t something many gardeners talk about, but it’s really important for organic gardening. 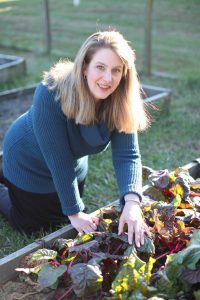 As I’m sitting here today thinking about my vegetable garden and what I want to plant this year, I realize that I haven’t rotated my vegetable plantings for the last several years – and that may be why I’ve had more problems with each successive year. Crop rotation simply means avoiding planting vegetables in the same general family in the exact same location two years in a row. Certain vegetables are in the same family: the nightshade family, for instance, includes tomatoes, potatoes, and eggplant, to name a few. A good gardening practice would be to plant brassicas such as broccoli after tomatoes, or carrots after potatoes. That’s the general idea behind crop rotation. Rotating crops preserves soil nutrients: Plants all need the same basic macro and micro elements. But they use different amounts of each, and some plants actually return elements to the soil. Planting the same thing every year in the same raised garden bed or in the same area of the garden means that the soil demands for a particular nutrient are excessively high. To replenish the soil, you’ve got keep adding more organic nutrients such as compost or resort to specific additives. You end up creating an unbalanced soil profile, which makes it harder for your veggies to grow big and strong. Rotating crops keeps the bad bugs at bay: Some insects that attack vegetable crops lay their eggs in the soil, where the eggs winter over and hatch in the spring. When they hatch, they’re hungry. If you plant the same crops that attracted the bad bugs to that site in the same bed the following year, you’re just opening up the buffet for the bad bugs. You’re making their lives easier when you’re supposed to be making their lives harder. 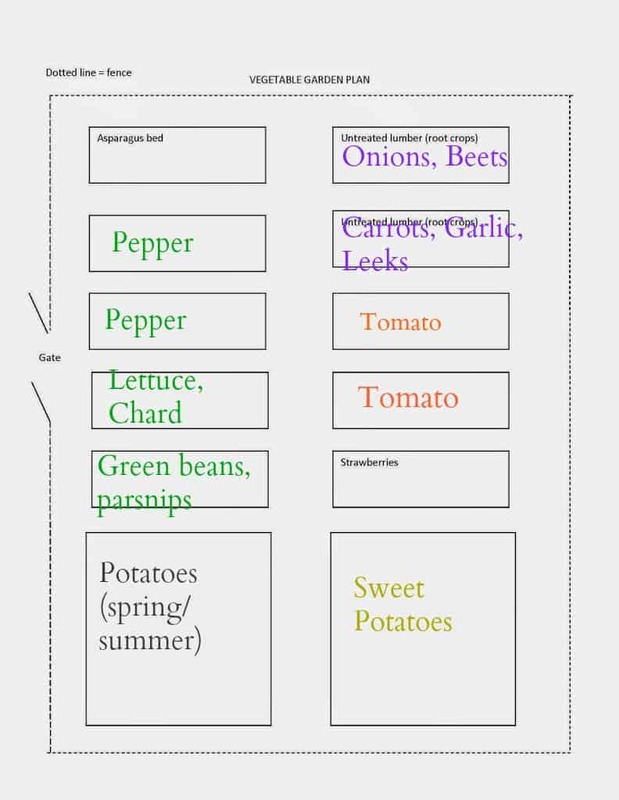 Below is a diagram of my raised bed vegetable garden. The asparagus and strawberry beds are marked because those are perennial crops, and so must remain in the beds in which they are planted. I used treated lumber for the remaining beds; there are two untreated lumber beds which I use to grow root crops. My belief is that treated lumber leaches potential chemicals into the soil which might be more readily absorbed by root crops. I typically plant root crops only in the two untreated beds but I accept that they will need more additives each year and I plan accordingly. The two large square raised beds at the end of the garden are used for larger crops and spreading crops. In years past, I’ve grown corn, watermelon and potatoes in them. It’s the potatoes that became problematic last year. I grew potatoes in the bottom left raised bed not just last year…but for the past four years. This last year was a disaster! I had so many potato bugs I lost EVERYTHING. They ate every leaf and stem from my potatoes. I went outside daily with a glass jar filled with soapy water and hand-picked the potato bugs off…didn’t even make a dent. It got so bad that I decided not to grow potatoes this year. I didn’t want to risk another bad year like that. Why was last year so bad? I’m sure there were environmental reasons why the potato bugs were dreadful last year. Friends also reported heavier than usual infestations. I think my infestation was especially bad, however, because I grew potatoes in the same garden bed for four years. Potato beetles will fly to new areas, but I pretty much set out a banquet for them by making it easy for them to find food year after year. I hope that by skipping a potato planting this year, they’ll head back into the woods where they can find ground cherry and other weeds that are their normal hosts, and skip my vegetable garden. Here is how my vegetable garden was planted in 2014. This is also how it was planted in 2012 and 2013, which probably led up to my poor harvest last year. This year’s plan is a little different. I hope it helps! Why don’t I grow cucumbers or melons? I’ve battled insects for the past several years. I’m going to try growing them in containers on the deck. If worse comes to worse, and they get infested with cucumber beetles again, I can at least get a small floating row cloth to cover them with to keep the bugs away. 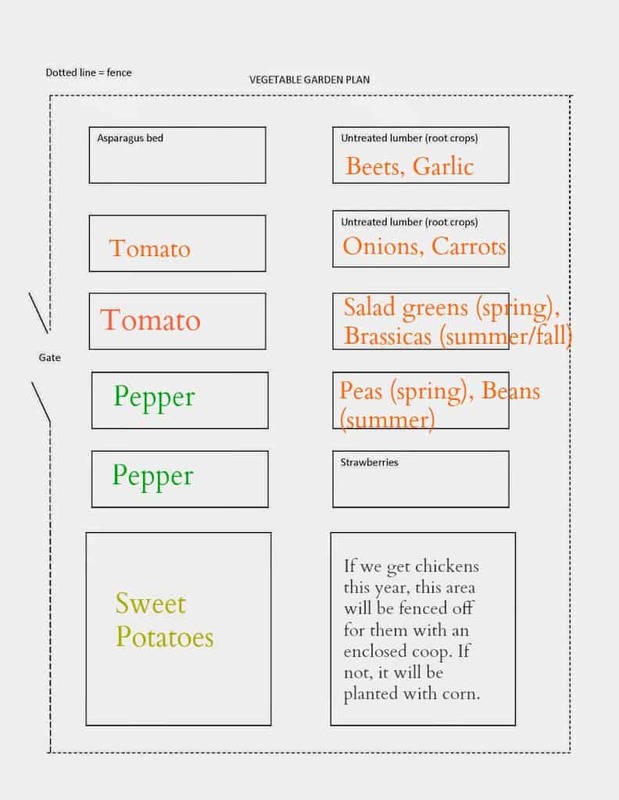 Now is the time to plan your raised bed vegetable garden. If you don’t have one, why not build one? You can use recycled materials such as old bricks, cinder blocks, or even old tires to make small raised gardens. 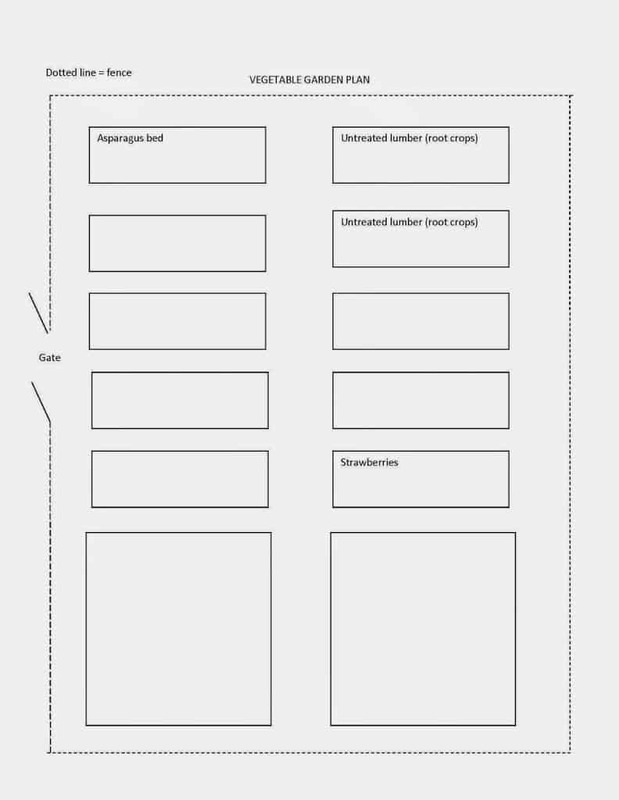 My book on raised bed vegetable gardening includes a simple plan to build one raised bed. You don’t need as many as I have here in order to grow organic vegetables. I went a little overboard when I built my garden! Even by adding just one raised bed to your vegetable garden, you will be able to grow a lot more vegetables easily. Click the picture below to see it on Amazon. (I’m an affiliate; disclosure). We’re still on the fence about the chickens, too! We go back and forth with the idea. I’d love them, but we’re worried about who will take care of them if we need to go away. Decisions, decisions! Thanks for stopping by! That is so good to know! We are complete newbies at growing our own food so we need all of the information we can get! This reminds me of all the Ag classes I took in high school, crop rotation is very important and I think you did a great job on this post!! Glad you stopped by! Welcome! Your garden look great. We have 3 raised beds made from cinder blocks and about 30 feet along a fence that we plant each year. I have been rotating but still have issues with zucchini, cucumber & cantaloupe. I think i am going to give up on the zucchini, put the cucumbers in a large planter, but not sure about what to do with the melons. Any ideas? You can grow some varieties of melons in containers. “Minnesota Midget” cantaloupes do great in large containers – I grew them when I lived in an apartment in New York! Thanks for stopping by. I’m so glad I stumbled upon this! We were just thinking – and by “we” i mean it is entirely my idea and i’m forcing my husband to help me – about planting a garden! Glad you’re here too, Caden! Hope this information is helpful. Great article! We are long time gardeners here and love our raised beds. We also know the dangers of replanting the same stuff year after year. It’s a bit tricky though since the gardens and greenhouse have spots that certain plants seem to love better than others. A trade off for sure. Thanks for your helpful and motivating info! Thanks Diane! Yes, I agree about the trade off. It can be tough to choose where to plant things. I’m jealous that you have a greenhouse. Happy growing! We’re planning a garden for the first time this year and I really enjoyed this post! Thanks for linking up at the #HomeMattersParty! 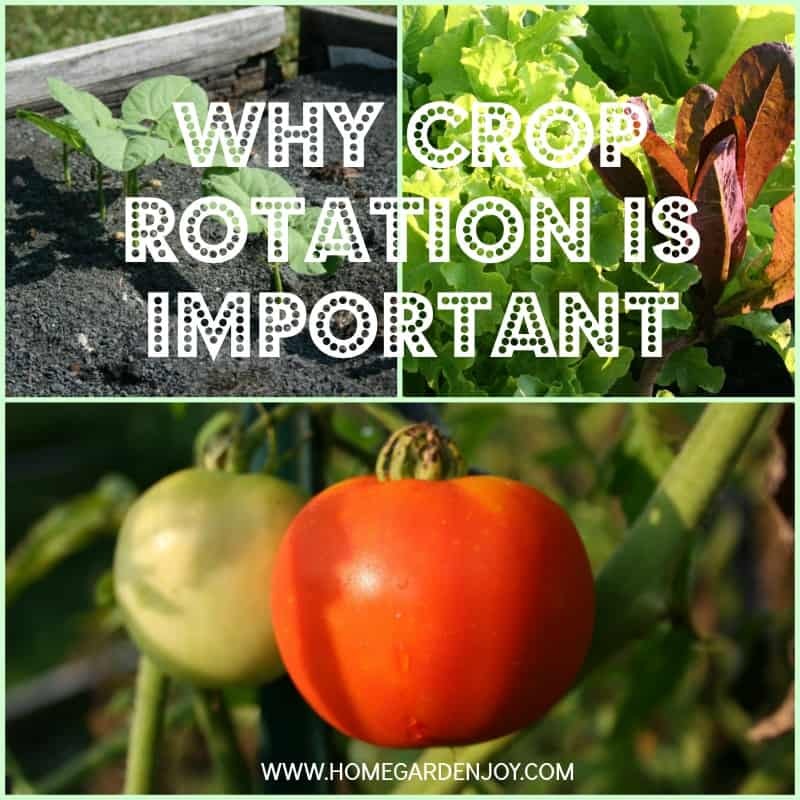 I’m quite a novice at gardening, and I had no idea of anything called crop rotation, so thank you for sharing! I would love if you would come over to the #HomeMattersParty and link this post up – the door is open!